can't wait for more of your post on Viet food! Otr than the famous spring rolls, I'm sure there's more to Viet food! Just had Pho for the first time, last week and have been thinking about it every day. Ngo Bap looks interesting and would love to try it. Actually, would love to be 20 steps behind you on your food hunts and eat up all your great finds. Do you know of any foodie meetups in KL, where people get together and try new restaurants and hawkers? You just brought me back to my childhood memory with this breakfast item. I haven't got it for a long time. It's one of the most popular breakfast items for Vietnamese. 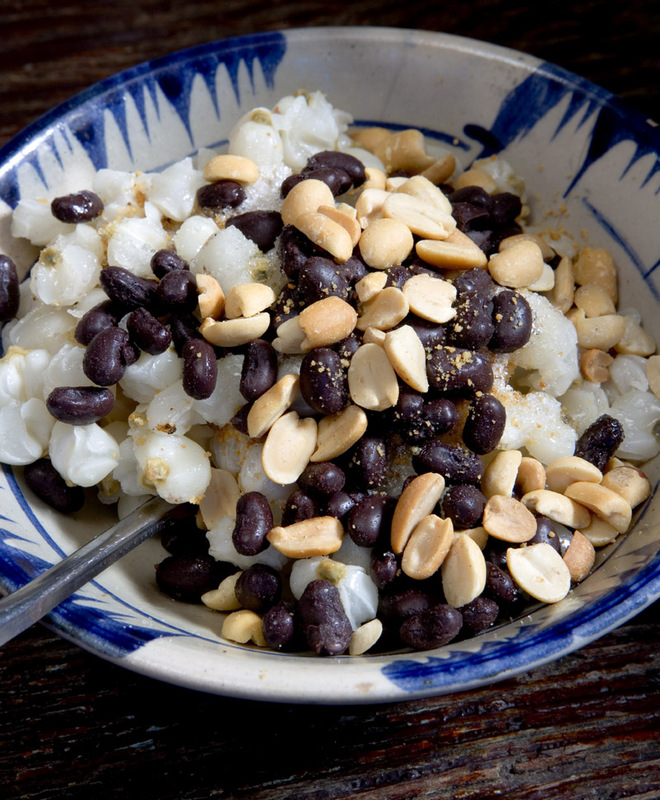 You can also try to explore many different types of breakfast made from sticky rice, both sweet and savoury. They are popular items. Thanks for the writing about Vietnamese foods. I never heard of this ngo bap breakfast before. I think I'll check out some of the restaurants in Little Saigon here in Westminster, CA and see if I will run into it. Thanks for writing about it. Life 2.0 - look into Fried Chillies - the link is on our sidebar. There is a forum on the website and they do organize foodie outings in KL and beyond. Quite a diverse group of people, you would enjoy it. Hi Dat - we wanted to try the sticky rice too, from this vendor, but she was fresh out by the time we got there. I love dried corn though, so this was a real treat. Hi bert - you're welcome. I think Vietnamese breakfasts other than noodles are rather unexplored. You could probably turn up all sorts of goodies in Westminster. ngo bap breakfast? Really I never heard this before. But it looks so delicious! I don't mind to have a bowl,pls! I honestly can't wait to see more about Viet food! wow this looks good. Now I need to try to recreate it. if anyone knows how to cook it.